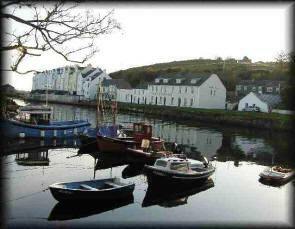 Cushendun and District Development Association was formed in February 1993 as a result of local people expressing a desire to be actively involved in the process of rural development in the area. The Association was envisaged as a vehicle whereby Cushendun and its District community could play a leading role in matters affecting their lives and the environment in which they live. 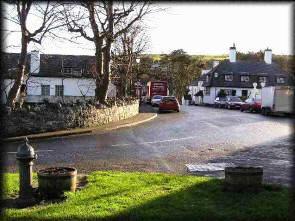 Cushendun is an area of outstanding natural beauty and part of it falls within a Conservation area. There is no industrial base and the potential for development as a tourist resource is as yet untapped. The economy of the area is based primarily on livestock farming with a general lack of other employment prospects, although in the last few years, people are going into bed and breakfast / self-catering businesses. The needs of young people in terms of employment, housing and recreation require serious attention. Creation (www.ireland-holidays.net) website for the middle glens which promotes the area and takes bookings for accommodation. Erection of a work of Art to commemorate the tragedy of the Foot and Mouth disease. Publication of booklet for tourists. We raise awareness of the over use of plastic bags. The committee meets usually on the 1st Monday of the month.